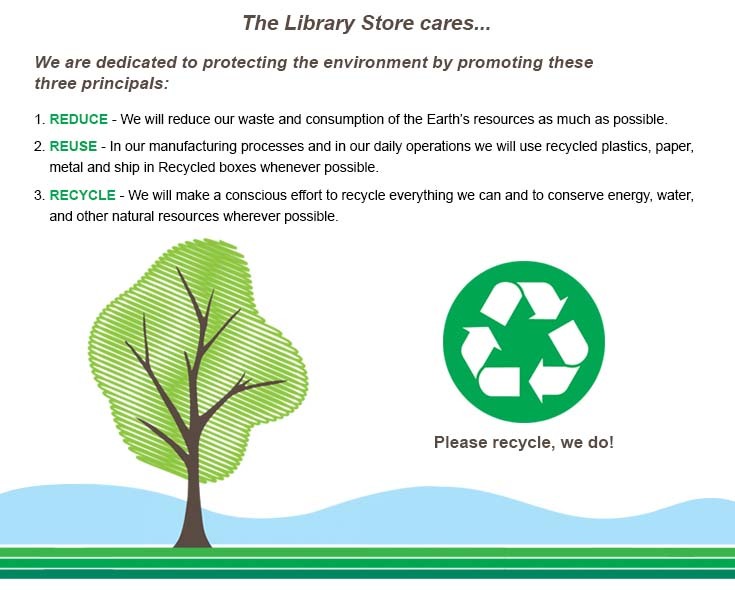 At the Library Store, we continually strive to implement the appropriate physical, electronic, and managerial procedures to safeguard and help prevent unauthorized access, maintain data security and correctly use the information we collect online as well as offline. We utilize Verisign SSL encryption to ensure that only The Library Store website can utilize the information you provide. To ensure any online connection is secure, simply look at the closed lock or unbroken key in the upper right or lower right of your browser. Additionally, at the beginning of the website URL listed at the beginning of your address bar, you should see https:// instead of http://. To ensure enhanced security capabilities, always keep your browser and operating system updated with the newest patches. The Library Store is the sole owner of information collected on this site. We will not sell, share, or rent this information to others in ways different from what is disclosed in this statement. The Library Store collects information from our users in various ways such as our website, Facebook, and other online avenues. This document explains our online information collection and use practices and the choices you can make about the way we use and share such information. Please read and understand this policy so that you can understand how we use your personal information. OUR ONLINE INFORMATION COLLECTION AND USE PRACTICES MAY DIFFER FROM OUR PRACTICES REGARDING INFORMATION OBTAINED OFFLINE. The types of personally identifiable information (i.e. information that can directly identify you or indicate where you might be contacted) that may be collected at these pages could include: name, organization, address, title, e-mail address, telephone number and fax number. At times, you may submit information about people other than yourself. For example, you might submit a person's name and e-mail address to refer a product or page to a friend, or if you order a gift online and want it sent directly to a friend, you might submit the friend's name and address. The types of personally identifiable information that may be collected about other people at these pages may include: recipient's name, address, title, organization name, e-mail address, and telephone number. We also may collect certain non-personally identifiable information (i.e. generic information that does not identify you personally) when you visit any of our web pages such as the type of browser you are using, the type of operating system you are using, and the name of your Internet service provider. We utilize Google Analytics to track these types of patterns in order to improve your online experience with us. We sometimes use the non-personally identifiable information that we collect to improve the design and content of our site and to enable us to personalize your online experience. We also may use this information in the aggregate to analyze how our site is used, as well as to offer you products, programs or services. We may share aggregate information with others, including affiliated companies and non-affiliated companies. Our site may contain links to other sites whose information practices may be different than ours. You should check the other sites' privacy notices since we have no control over information that is submitted to or collected by them. We may offer contests, sweepstakes, or promotions that are sponsored by or co-sponsored with non-affiliated companies. Based on our agreement with them, these third parties may obtain personally identifiable information that site visitors voluntarily submit to participate in the contest, sweepstakes, or promotion. We have no control over the use of this information by these companies. Each email sent from The Library Store contains an easy, automated way for you to cease receiving email from us. If you wish to do this, simply follow the unsubscribe link at the bottom of every non-transaction related email. Alternately, you can send an email to info@thelibrarystore.com requesting that your email address be removed from further promotional mailings. To enhance your online experience with us, many of our web pages use "cookies." Cookies are text files placed on your hard disk by our web server to store your preferences. Cookies, by themselves, do not disclose personally identifiable information unless you choose to provide this information to us. However, once you choose to provide the personally identifiable information, this information may be linked to the data stored in the cookie. Cookies cannot be used to run programs or deliver viruses to your computer. 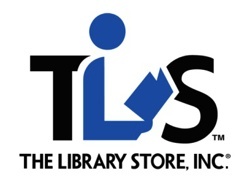 If you are visiting The Library Store from a location outside of the United States, your connection will be through and to servers located in the United States. Your orders will be fully processed in and shipped from the United States. All information you provide will be processed and securely maintained in our web servers and internal systems located within the United States. By using The Library Store services, you authorize the export of personal information to the USA and its storage and use as specified above when you provide such information to us. This policy and our legal obligations are subject to the laws of the State of Illinois and the USA, regardless of the location of any user. Any claims or complaints must be filed in the USA in the State of Illinois. Our site will not knowingly accept personal information from anyone under 13 years old in violation of applicable laws. If you believe that your child under 13 has gained access to our site without your permission, please contact us. We have taken commercially reasonable steps to restrict use of this site to those who are at least 13 years old. We do not sell products for purchase by children and all children's products we sell are for purchase by adults only, or with adult permission. The personal information you provide is considered a company asset and may be included among transferred assets if The Library Store, Inc., any or all of its subsidiaries or affiliates or any of their assets is ever acquired by a third party. Because our business needs may grow and/or change, we reserve the right, at our discretion, to change, modify, add, or remove portions from this policy at any time. If at any time in the future we plan to use your personally identifiable information in a way that differs from this policy, we will post such changes here. Your continued use of The Library Store services following the posting of any changes to this policy means you accept such changes.